Geomagic Design X is a purpose built reverse engineering software capable of converting 3D scan data into high quality CAD models. By solid model extraction functionality, accurate surfaces can be fitted precisely to high resolution 3D scans, as well as adjustments in mesh editing and point cloud processing. This allows for the reverse engineering of any parts and creation of high quality designs ready for all modes of manufacturing. 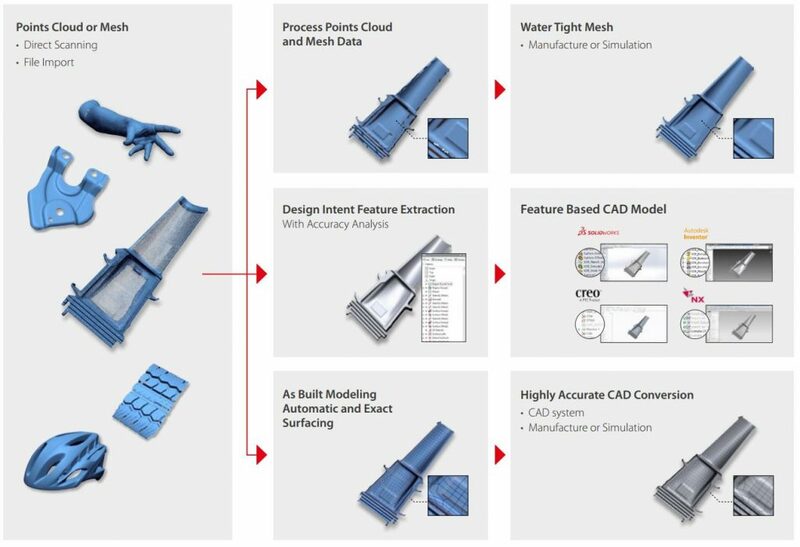 Product design can start from real world existing products by modelling CAD from 3D measurement data. Geomagic Design X allows the creation of editable, feature-based CAD models from a 3D scanner and incorporate them into your product portfolio. By adding 3D scan data into your CAD environment the design process can be accelerated, whilst creating versatility in your capabilities. 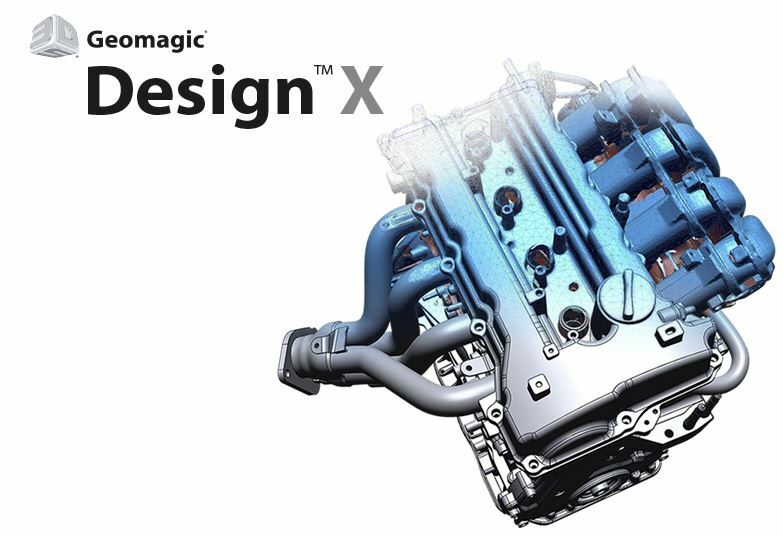 Geomagic Design X is software complementary with CAD platforms, with native output to Solidworks, Autodesk Inventor, Siemens NX, Pro/Engineer, PTC Creo and Solid Edge. Shed up to weeks of time from generating the product idea to finishing the design. Using scan data gives the benefit of modelling complex parts that would take excessive time otherwise with conventional modelling from scratch. 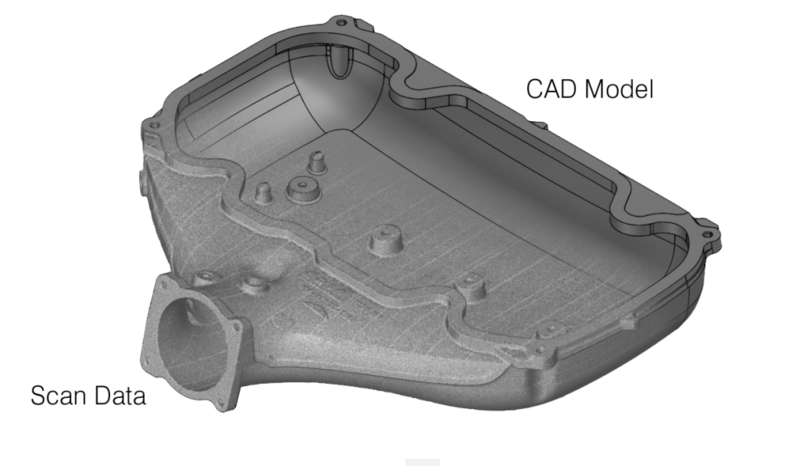 Modelling with scan data can significantly reduce costs and time in the manufacturing process. Reduce tool iteration costs by using actual part geometry to perfect your CAD design and eliminate part springback. Costly errors such as poor fit of parts can be quickly adjusted to ensure maximum efficiency. Geomagic Design X provides the opportunity to digitally catalogue your parts. They can be refined, improved, reused and redeveloped into new CAD data for production improvements. Geometrically complex parts with high constraints and tolerances can now be reproduced with high accuracy and ease. Create components that can integrate with already existing products, and recreate geometry that cannot be measured in any other way. • Easy-to-use mesh repair tools deliver rapid hole filling, smoothing, optimizing, rewrapping and polishing tools such as Smart Brush.